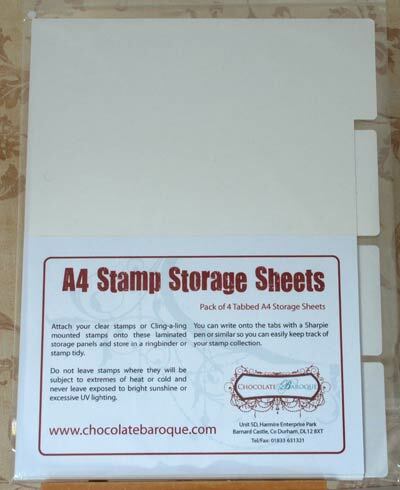 These A4 Stamp Storage Sheets are designed to store cling cushion mounted Stamps. 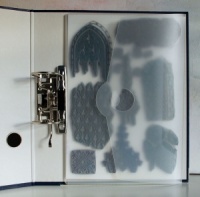 Complete with tab and punch holes these can be used with your own binders. Please note, these are designed for European A4 binders with 2 holes and will not work with the American 3 ring system. I really think this is an excellent system for quickly and easily storing stamps. I love the tabbed pages. Many thanks. I love your website . 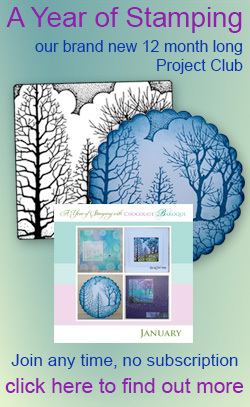 I ordered your stamps via Hochanda and needed to find out how to cling them and store them. I found your tips very helpful. I love these tabbed storage sheets. I cling-mount all my rubber stamps and keep them inside see-through plastic envelope folders along with the stamp index sheets. It makes it very easy to keep the stamps in order and to select the ones you want for each project. Actually I sometimes just spend half an hour browsing through them and planning future projects! 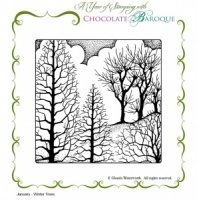 Fantastic'ly easy to use and so useful for seeing what stamps you have. My first purchase from this website but not my last. 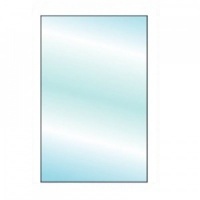 Straight forward communication quick delivery well packed no fuss.Thank you. 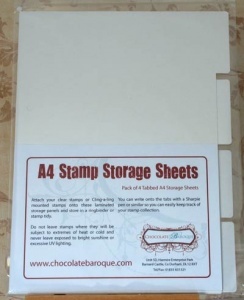 These are great for storing all my foam mounted stamps. Would be great for clear ones too. Speedy despatch and excellent customer service. 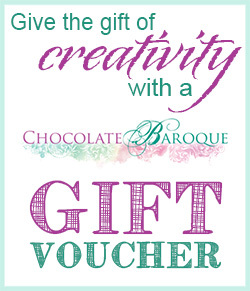 Would recommend this product & Chocolate Baroque to anyone. Very happy with my purchase, perfect for my CB stamps. Must add great service and delivery. Very useful and just what I needed. Holds a lot of stamps.